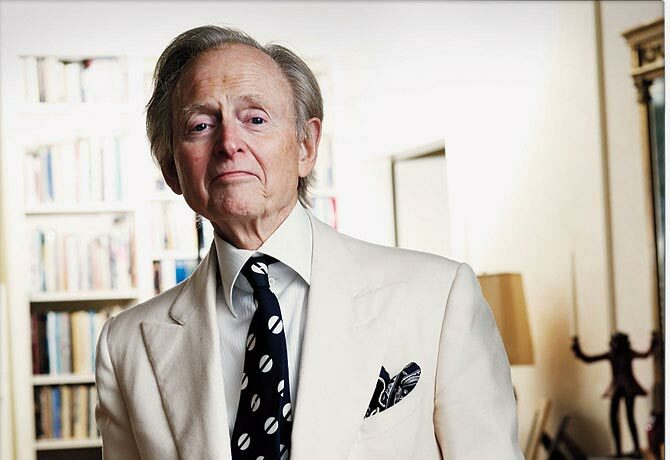 With Tom Wolfe, of course, it’s Pyrotechnics™. That’s what everyone talks about. It’s hard not to, with Wolfe. If not a fireworks metaphor, then what? His sentences practically roman-candle on the page: ZZZZZZZZZZTch!—popop POW. His prose goes zoom and it can take you with it. It took me at 18, 19, 20. 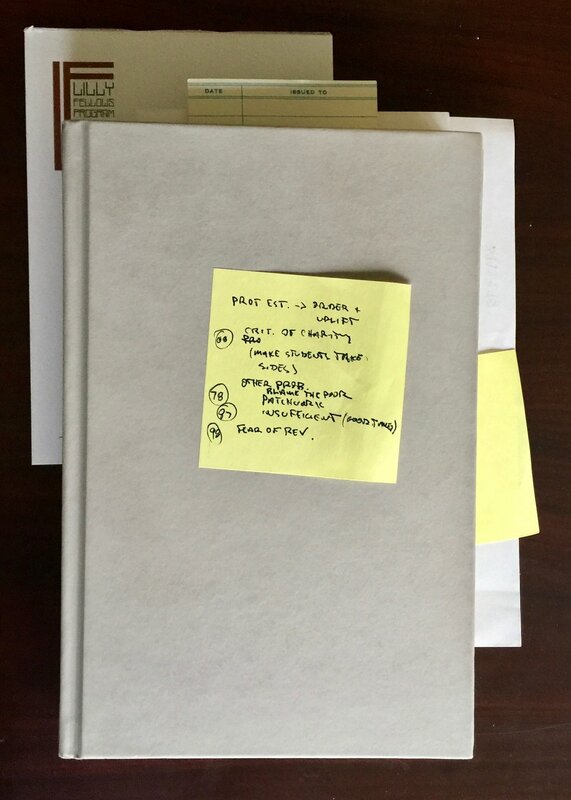 Wolfe’s writing—I couldn’t tell how it did what it did, but I could tell what it did. It grabbed readers by the throat like I wanted to grab readers. It made readers care about things they didn’t think they cared about. I wanted that power. His words had a thing. But what was it? Wolfe died Monday at 88. With the news comes memorials to his prose and power with words. His style is hailed, rightly enough. But I think back to why Wolfe mattered to me—mattered so, so much to my writing—it actually wasn’t the excess of style. I learned something different. I read The Kandy-Kolored Tangerine-Flake Streamline Baby my first summer working at a daily paper. It was the Peninsula Daily News, in Port Angeles, Washington. I had just finished a year at the community college in town. 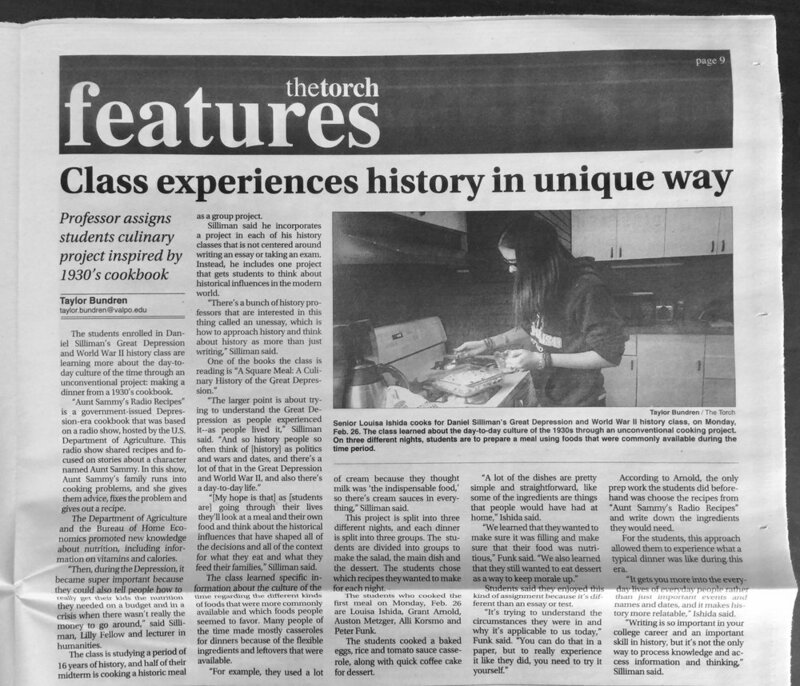 I'd taken a few classes on journalism and picked up the rudiments of reporting at the school’s bi-weekly paper. So sometime in May I went down to the Peninsula Daily News, a warehouse-looking building on First Street within shouting distance of the Strait of Juan de Fuca, and I asked to talk to the publisher. The publisher was an old bureau chief for the Associated Press, retired from that to run this local paper in the Pacific North West. I asked to see him to see if he had a job for me, or maybe an internship. He laughed at me. He laughed at my clothes, actually. I was wearing a $12 jean jacket and a pair of clean blue jeans. I had some big, lace-up work boots, which I wore for mowing lawns, cutting trees, killing chickens, pouring concrete, and all the other jobs I’d done before this job I really, really wanted: reporter. I don’t remember what I said back. I stuttered something. Then he explained I didn’t have what it took to be a reporter. But how did he know? The jacket? Like that, I was back out on First Street. A couple of weeks later, the news editor called. Did I have a job for the summer yet? I guessed I would run the chipper for one of the local tree companies. Did I still want to work at the newspaper? I told him there must be some misunderstanding. I already talked to the publisher. “Some things changed," he said. "You want a job, you start tomorrow.” So I did. When I got to the newsroom, the place was empty of reporters. There had been three, but something happened and they all quit and I had a job: general assignment reporter. It was an incredible moment, but also more than a little terrifying, how fast things could change. So I started. A place like that, a job like that, you can write about anything. But you also have to write about everything. I wrote two, three stories a day. It’s a quick, quick pace, always in the oncoming traffic of deadlines, and pretty soon you start writing about things and getting assignments to write about things where you think, how is this a story? A car show. A quilt show. A boat show. A jazz festival. A parade. The publisher who knew I didn’t have what it took once personally assigned me an important story, he said, about a sand-castle carving competition—that I had to write about before it happened. I was so happy to have that job. But also, I knew they expected me to fail. I knew I could prove them right with one dumb question, one messed-up story. And there I was, in the office before anyone else, wracking my mind: How is a car show interesting? How is a car show a story? I had no idea. Tom Wolfe had an idea. The title piece in The Kandy-Kolored Tangerine-Flake Streamline Baby is about a car show. For Wolfe, though, the story wasn’t about cars, but the people who cared about cars. It was, even beyond that, a story about what they cared about when they cared about these cars. That was the first lesson, the most important lesson I learned from Wolfe. I don’t have to care about cars. I don’t have to think a tangerine-colored paint job is important. I have to care that people care and think it’s important people think something’s important. That’s where the story is. The second lesson was that there is more than one way to tell a story. There are choices. You should think about the different ways, and decide how you’re going to tell a story. Other denizens of the style called “New Journalism” were probably better at this, honestly. Jimmy Breslin’s piece on the guy who dug the grave for John F. Kennedy is maybe the best example, but there are lots of examples. These writers emphasized that you might want to focus on the “wrong” person. You might do better to start with an “irrelevant” detail. A story could be better, sometimes, if it were upside down. The point was just that you have to make choices. Everything is a choice, in writing. Novelists have long known this, the New Journalists said, and will think about whether to tell a story in first person or with an omniscient narrator, whether to start at the beginning or in medias res, and even what tense to use. Journalists should do the same. In an interview once Wolfe talked about a biography he read when he was 7. It was about Napoleon. It was written in the present tense. That blew Wolfe away, that you could do that. You could tell the story of long-ago Napoleon like it was right now. The truth is the truth, but the telling is constructed. Maybe everybody else always knew this about the art of narrative. It was a revelation to me. When I read Wolfe, I felt like I was suddenly free from every rule, every convention, every “right way” of doing things. But more importantly, I felt like I knew what that freedom was for. I have an impossibility low tolerance for dandyism. And I couldn’t pull off a white suit for anything. With a normal sports coat, I look like I’m going to jack a truck. In a tie, I look like I just stole a chicken. Wolfe and I couldn’t be any further apart than when it comes to clothing. But Wolfe said the clothes were also just about being separate and knowing you are separate. The reporter is not part of the scene. The reporter is in the world, not of the world. In the crowd, but watching the crowd. The separateness is an important part of the job, because that allows you the critical distance to tell the story. So it’s OK, and maybe even a good thing, if people see you and think, that person doesn’t belong. "I found early in the game that for me there’s no use trying to blend in," Wolfe said. "I might as well be the village information-gatherer, the man from Mars who simply wants to know." Wolfe wasn’t, by any means, authorizing my jean-jacket-and-blue-jeans look. But I could be the man from Mars. And here was Wolfe saying my weirdness, my awkwardness, could be a powerful tool to help me know. I could embrace my out-of-placeness like an odd-duck superpower and then I could really see. Then I could really tell a story. The end of the summer at the Peninsula Daily News, I got a crime story. By then, the paper had hired a few real reporters, with real experience, but they decided to keep me until I went back to college in the fall. I was there early, earlier than anyone, going through stacks of mail and faxes trying to find a story I could write about. A car show. Something. The police scanner squawked a message about an arrest, a suspected bank robber, and a bar. I went to the bar. I was 18. I’d never had a beer and never been in a bar, much less at 10:30 on a weekday morning. I walked in. I told the bartender who I was and asked if there was a bank robber arrested there. She said yeah, and she’d talk to me in a minute after the police finished taking her statement. I could wait. She gave me the beer the bank robber bought before she called the police and they came and arrested him. “He didn’t drink any,” she said. So I did. The man had been on a bit of a bender, before that last beer he didn't drink. Released from jail a week before, he robbed a bank, lost a bunch of his stealings at a casino, got a cheap hotel, and drank all day for four, five days at the bar next door. Until they caught him. When he robbed the bank he was wearing a cowboy hat, which the police thought was a disguise, obscuring his face, distracting eye witnesses. When he was arrested, he was wearing the same hat. I was able to reconstruct his whole week. I got the report about the bank robbery and found one of his dealers at the casino. I talked to the clerk who checked him into the hotel. He had no luggage, she said, just a limp and a brown paper bag with money. And of course I talked to the bar tender, who told me the police said her tips were hers, even if it was stolen money. I wrote it all up and turned it in to the editor. There were no pyrotechnics. I just tried to tell the story. It was about a man and what he wanted. I made choices, in the narrative construction, with which details to focus on and how to unfold the chronology to serve the story the best I could. And I got the story because I didn’t worry about fitting in. No question was too dumb for me. I was the man from Mars who wanted to know. I told him I got that from the bar tender. Wolfe’s dead now, and people are praising his pyrotechnics. I’ll admit, I loved his pyrotechnics. I wanted to write like that and tried to write like that. But when I think back to reading The Kandy-Kolored Tangerine-Flake Streamline Baby for the first time, that wasn’t the thing. That wasn’t the important part of what Wolfe was to me. I learned something different. Class time: M-W-F 9 to 9:50 a.m.
William McKinley won the 1896 presidential campaign without ever leaving his home. 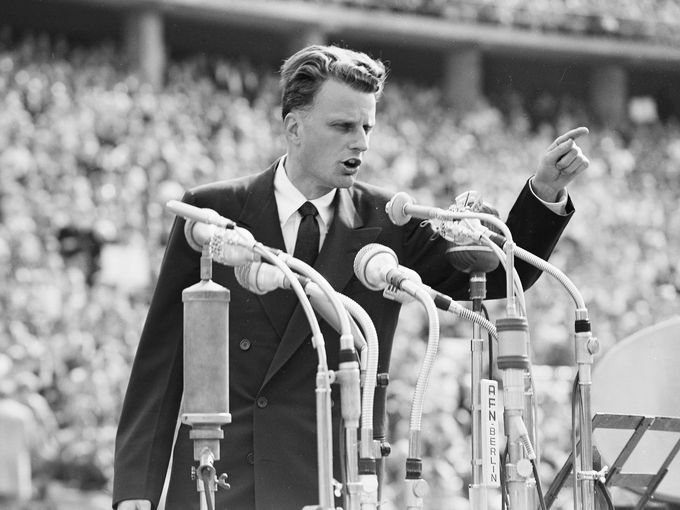 Crowds came to Canton, Ohio, and he stood on his front porch and delivered carefully crafted speeches. 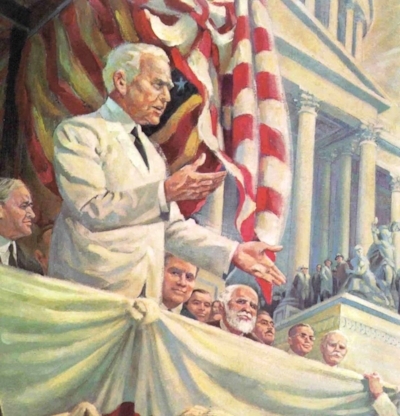 But there were signs America was changing: McKinley’s campaign spent unprecedented millions on media and advertising, even producing the first-ever campaign film, while a newly powerful press determined the issues of the day. Since then, mass media and the American presidency have grown inexorably intertwined. Media shapes the presidency. Media makes the president. Or is it the other way around? From McKinley’s relation to the “yellow journalism” to Nixon’s experiences on TV, from Woodrow Wilson’s press conference to Donald Trump’s Twitter, the relationship between mass media and the American presidency is complicated, co-dependent, and ever evolving. This course will examine the relationship as it changes over time, considering the historic role of the commercial press in our democracy. In the process, students will learn the historian’s craft. They will learn to do original research, reading and interpreting a variety of historical documents. They will learn to construct compelling and factual narratives that grapple with the complexity of human experience. Assignments will include creative story telling and a final research paper. Carl Bernstein and Bob Woodward. All the President’s Men. New York, Simon and Schuster, 1974. Timothy Crouse. The Boys on the Bus. New York: Random House, 1973. David Greenberg. Republic of Spin. New York: W.W. Norton: 2016. David R. Spencer. The Yellow Journalism: The Press and America’s Emergence as a World Power. Evanston, Illinois: Northwest University Press, 2007. A digital subscription to either the New York Times of the Washington Post.